The handheld MULTI-FUNCTION TACHOMETER with LCD delivers contact and non-contact measuring capabilities for measuring RPM, web and belt surface or linear speeds and lengths. 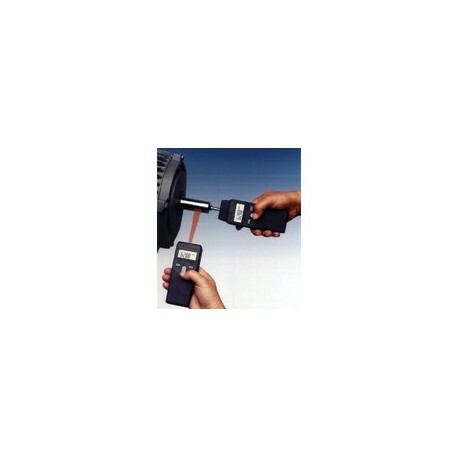 Uses visible light beam up to 14" away from object to measure RPM. This allows you to measure the accumulated total of continuously running material (such as webs).